Wishing everyone a happy and safe Easter! An established community built with people at its centre. Welcome to Gregory Hills, a vibrant, established community in South-West Sydney where residents enjoy both the quiet life of a village and the modern conveniences of a city within reach. Gregory Hills has been masterfully designed to provide our residents and the broader Macarthur region with a place to play, shop and eat with shopping, restaurants, cafes and entertainment quarters on their doorsteps. For over 10 years people have been choosing to call Gregory Hills home, joining thousands of diverse Australians looking to create a safe and friendly community. Every week, the vision of our town is getting closer and closer to completion. Building your home in Gregory Hills means joining a friendly community where families enjoy an active lifestyle together. Where neighbourhood get-togethers are a regular thing and on any given weekend you’ll see families walking the dog, neighbours chatting over the fence and kids riding around on bikes. It’s just that sort of place. Gregory Hills features a diverse range of 10 parks and play areas, ranging from beautiful local parks and playgrounds through to the new sports fields. The parks feature established trees for shady areas to relax and play and a great range of play equipment for all ages. Connected walking and bike trails cover the whole of Gregory Hills. The parks in Gregory Hills are just what you need to relax or get active, with something for all ages. Gregory Hills will feature its very own shopping centre with construction on Stage 1 scheduled for completion in 2019. Featuring a full size supermarket, a comprehensive medical centre and a range of specialty stores, Gregory Hills Town Centre will serve the day to day needs of Gregory Hills residents and be a great place to meet and relax over a meal or coffee. You’ll be shopping locally at Gregory Hills for your everyday needs. Gregory Hills already features two schools, with St Gregory’s College and St Gregory’s College Junior School located right next to the town. A public primary school is also planned right in the centre of Gregory Hills. Three established child care centres are already operating at Gregory Hills as well, with Exceed, Jenny’s and Great Beginnings all providing friendly and modern facilities to support Gregory Hills families. Gregory Hills is a great place to watch your children thrive in a family friendly environment. With Gregory Hills Drive now open, Gregory Hills couldn’t be more conveniently located. Campbelltown Railway Station and the M5 Motorway are now just minutes away, saving you valuable time to spend with your family. Convenient connections to the key transport links in the area put Gregory Hills in the heart of the action. Gregory Hills has a broad selection of land lots for sale to suit every lifestyle and budget. Whether you are seeking something close to the shops or want a bit more peace and quiet, Gregory Hills has the property for sale that you have been looking for in southwest Sydney. Gregory Hills has a range of House and Land options available through a selection of South-West Sydney’s best home builders. If you’re looking to build your new home in the Macarthur region or would simply like to see what is possible, then click here. View our masterplan to see a bird’s eye view of our vision for Gregory Hills. Featuring an overview of the location of Gregory Hills in the broader Macarthur region as well as current land releases, roads, amenities, schools and more. Gregory Hills is a vibrant, established community in South-West Sydney where residents enjoy both the quiet life of a village and the modern conveniences of a city within reach. Gregory Hills has been masterfully designed to provide our residents and the broader Macarthur region with a place to play, shop and eat with shopping, restaurants, cafes and entertainment quarters on their doorsteps. Nadia and Nancy both joined Gregory Hills because they wanted a place to build a home they could be proud of. Moving from a busier area meant they bumped into each other and have been making new traditions ever since. Struggling with the commute after Matt’s company decided to relocate to South West Sydney, building at Gregory Hills became an opportunity too good to pass up for the Millers. With the 2019 season now underway, the Gregory Hills Netball Club are bullish about their prospects. 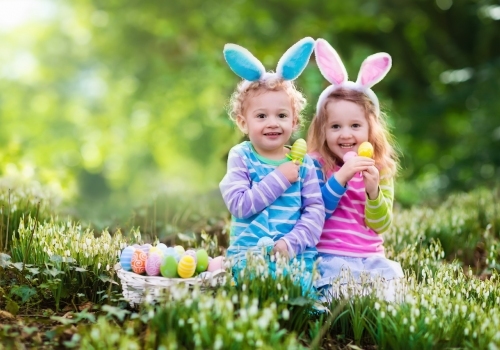 Gregory Hills always looks for ways to bring the greater community together, and Easter is the perfect time for communities to come together. Full-time has been called on the construction of Cunningham Park in the north of the Gregory Hills community, with the park officially unveiled on Saturday March 9, 2019.